Here’s a very quick and easy tutorial for the GC8/GF8 Subaru Impreza WRX, that anybody can perform. 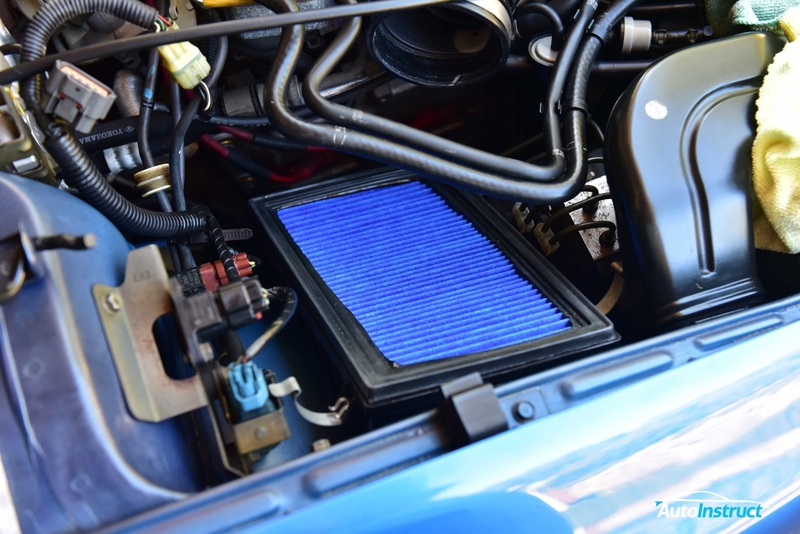 We’ll show you how to change your Engine Air Filter. This filter needs to be replaced / cleaned as per your service intervals. 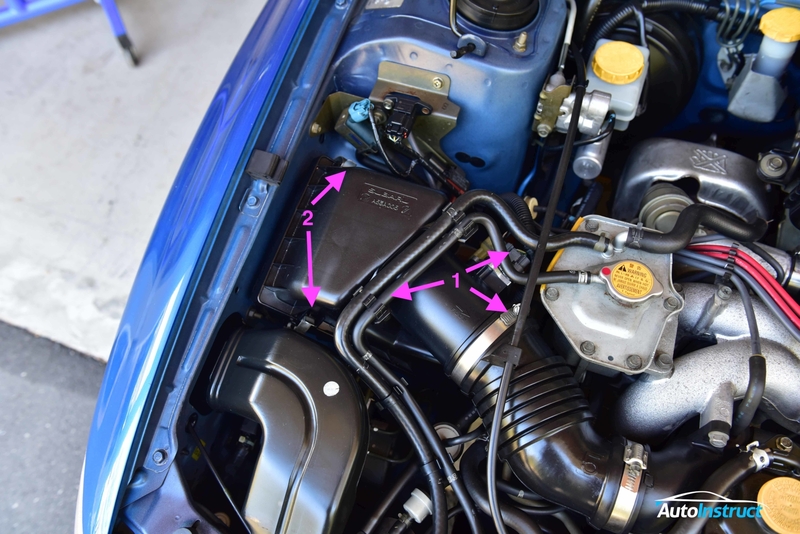 Unclip the two coolant hoses running across the air intake, and unplug the MAF sensor. You may need to loosen the hose clamp as pictured to assist with removal of the filter. Unclip the two metal tabs to loosen the air box lid. Lift the lid, and optionally remove it from the vehicle as we did. Use this opportunity to vacuum or wipe any collection of debris that is sitting at the bottom of the intake. Install your new engine air filter into position. We chose a Cosworth Dry Filter to ensure longevity of our MAF Sensor. 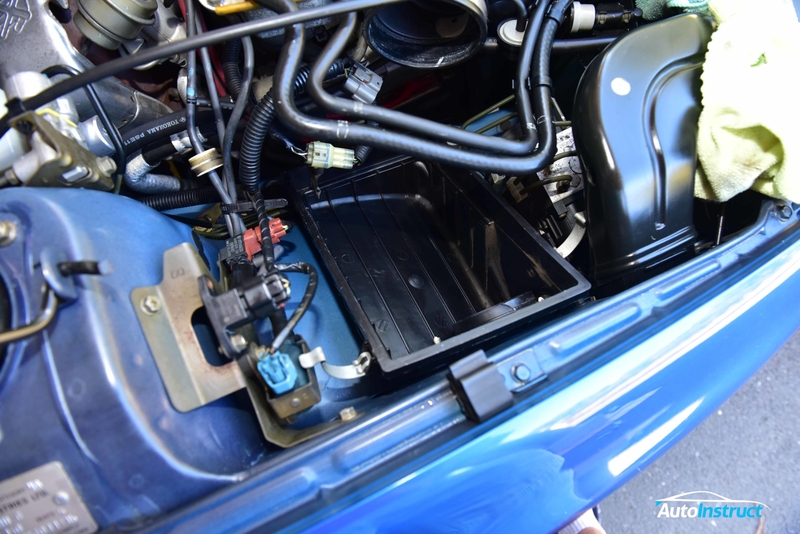 Reinstall the air box lid by sliding it into the tabs beside the engine and secure into position. Clip down the metal clamps and reattach the MAF, hose clamp and coolant hoses.